in two days! april 9 is the official opening day of the first uniqlo store in singapore, at the new tampines 1 mall (which is supposed to have its official opening day on april 9 too). a second uniqlo store is set to open in august at another new mall, ion orchard mall, that monstrosity on orchard turn, which is scheduled to open in july. 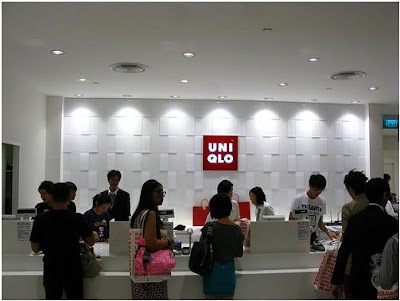 then uniqlo plans to open six more stores in singapore in the next three years. haay, tamang-tama, people who are going to singapore for holy week will have a new place to shop in. pasalubong! !